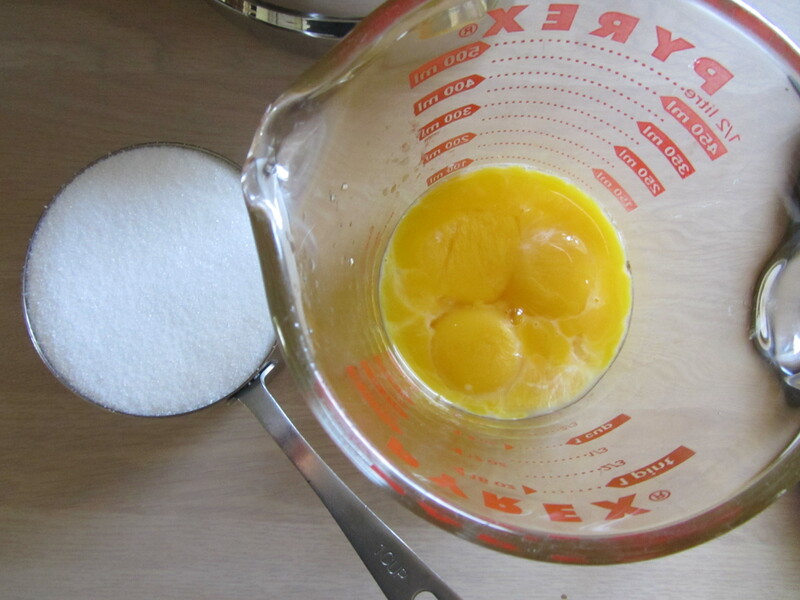 The first recipe in the third episode is for over easy eggs. This recipe can be found here. 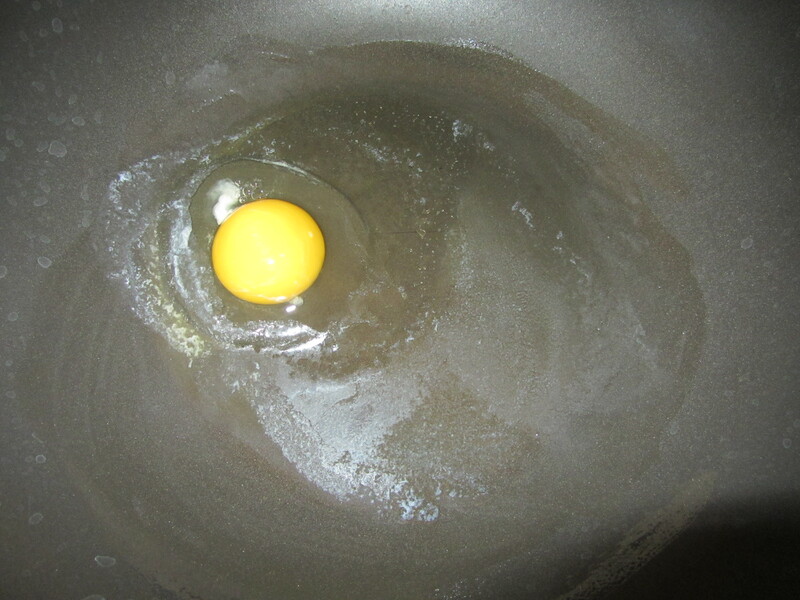 As a frequent egg eater, I have cooked eggs in numerous ways over the years. Over easy eggs are, however, a type of egg that I do not frequently cook. We do not have a small non-stick skillet in our kitchen repertoire, so I utilized a large non-stick pan we have that has rounded, rather than squared-off, edges. 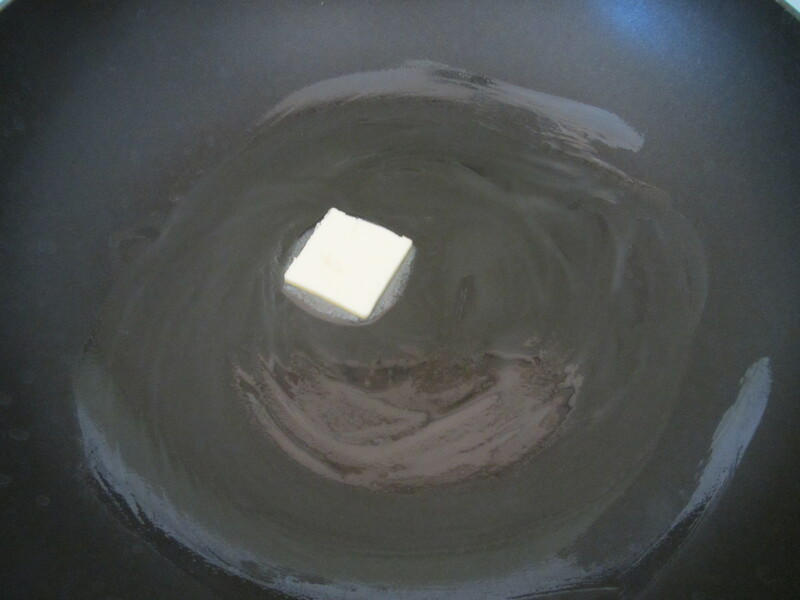 This kept the contents of the pan in the center of the bottom of the skillet. 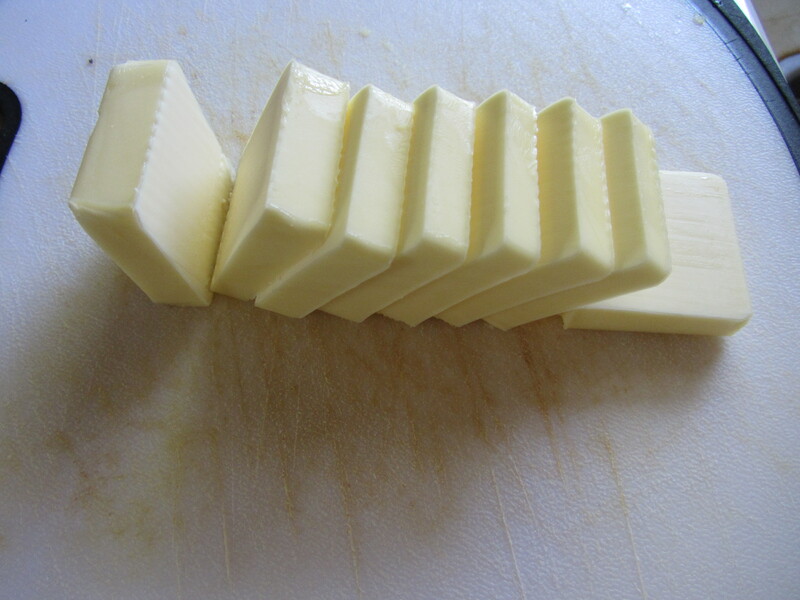 After melting my butter, I added a single egg (rather than two eggs, as in the episode and recipe). 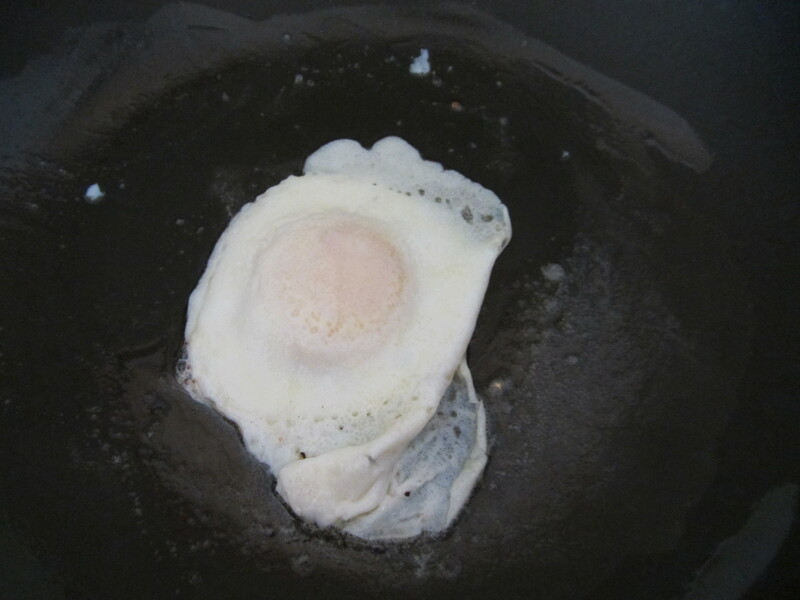 As soon as my egg white was opaque, I flipped it over easily and magnificently with a simple shake and jiggle of the pan. Oh, wait… that part didn’t happen. Upon realizing that it was going to be impossible to gracefully and successfully flip my egg in my large pan, I cheated and flipped it with a spatula. Once flipped, I counted to 10, flipped the egg, again, and it was ready to eat. 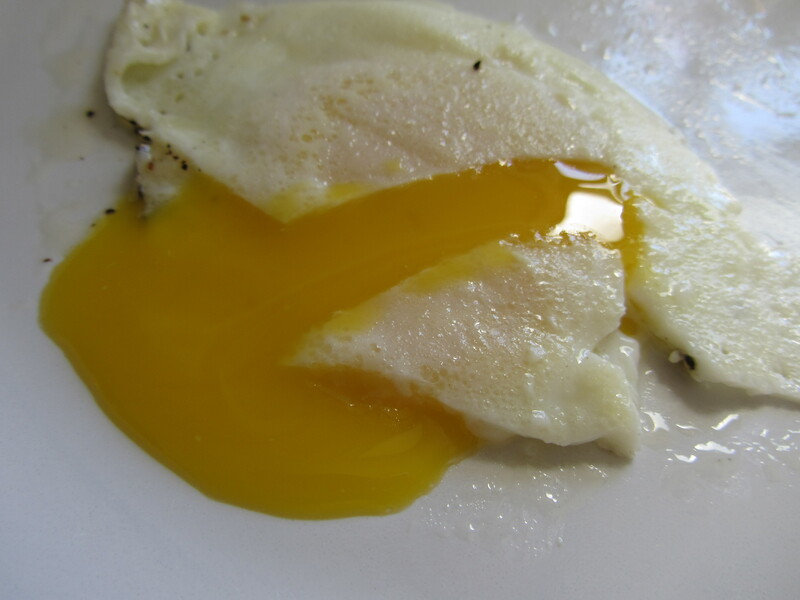 The result was a perfect over easy egg, with a cooked, but not rubbery white, and an intact yolk that just perfectly leaked when I cut into it with my fork. 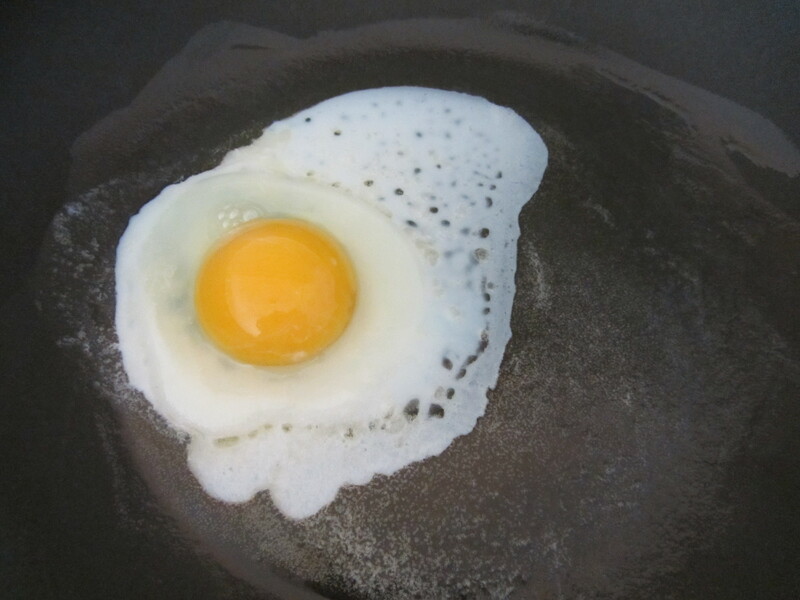 I will use this method again for cooking over easy eggs. Now, I just need to get a small skillet with which I can master the toss. 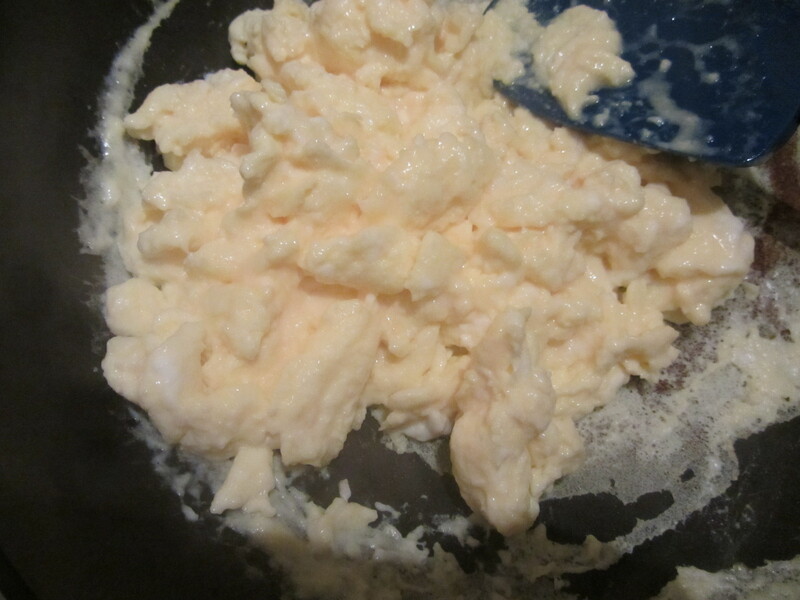 Though considered boring by some egg lovers, I adore a good plate of scrambled eggs. In fact, they are usually my go-to. The unfortunate thing is that scrambled eggs are so rarely cooked correctly. I have, in my many years of scrambling eggs, become pretty consistently good at cooking them. Many breakfast joints serve scrambled eggs that are rubbery, chewy, have an artificial shade of yellow, and are often a single, flat mass. Perhaps that’s why they get such a bad rap. 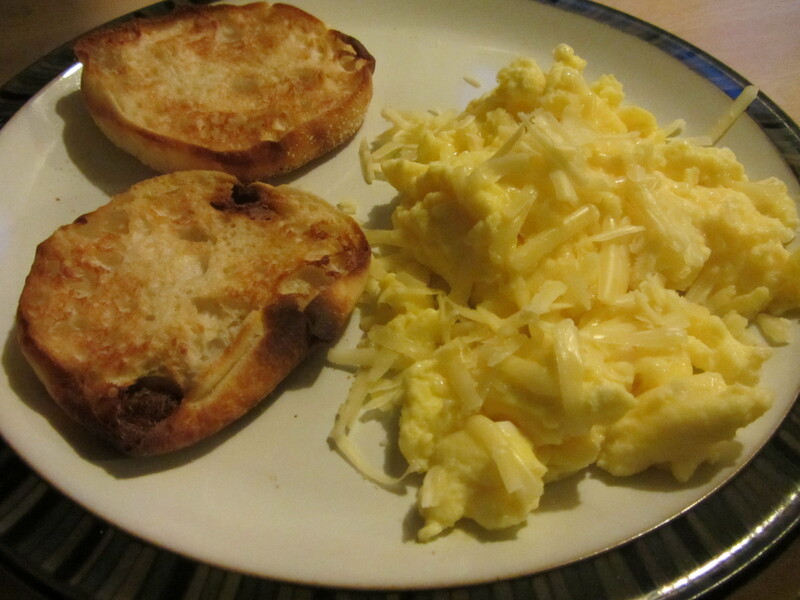 So, take note… if you follow Alton’s recipe from Good Eats, you will have a proper plate of delicious scrambled eggs. 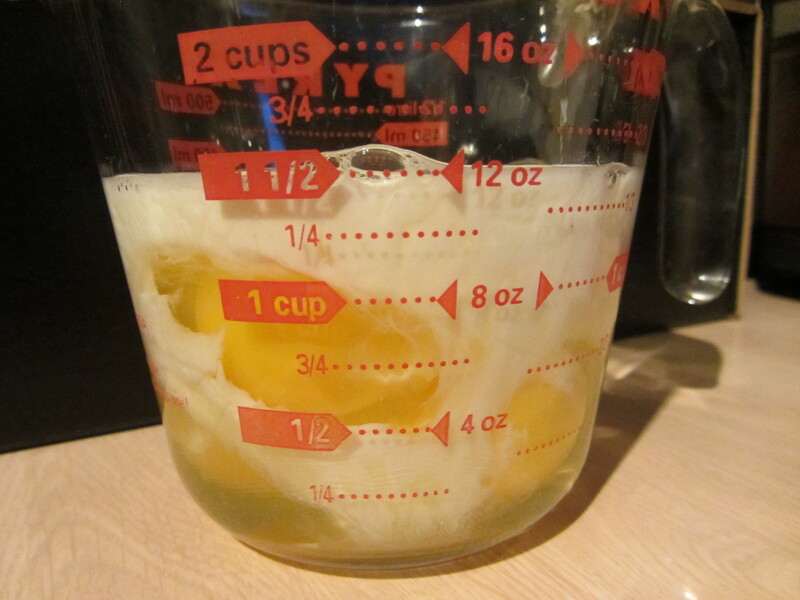 Eggs with added whole milk. 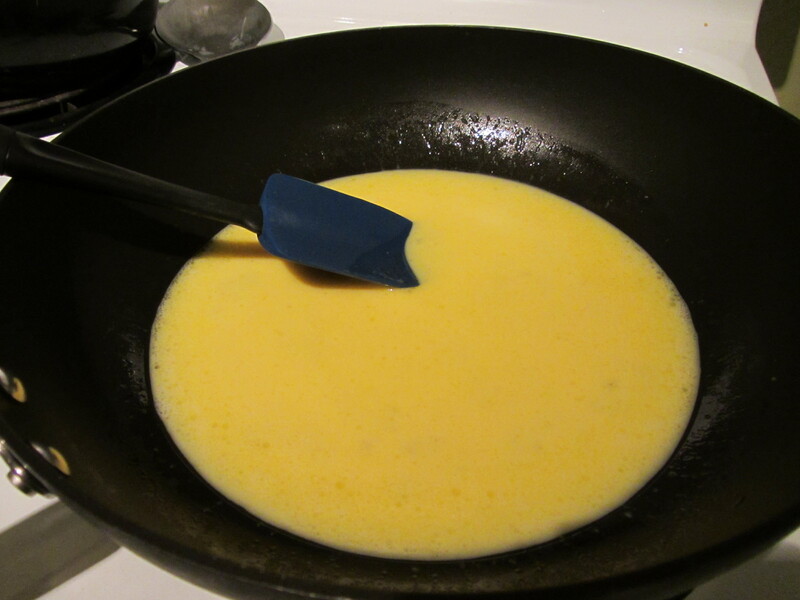 The tricks with scrambled eggs are to start them over low heat, only switching to high heat once the curds begin to form, and as soon as there is no liquid left in the pan, remove them from the heat. Time to remove from the burner. As Alton says in the episode, “If the eggs look done in the pan, they’ll be overdone on the plate.” I thought this recipe produced scrambled eggs that rivaled all of the others I have made successfully in the past. I added some grated sharp white cheddar cheese and hot sauce to mine, and I was good to go. A perfect plate of scrambled eggs, topped with sharp white cheddar. 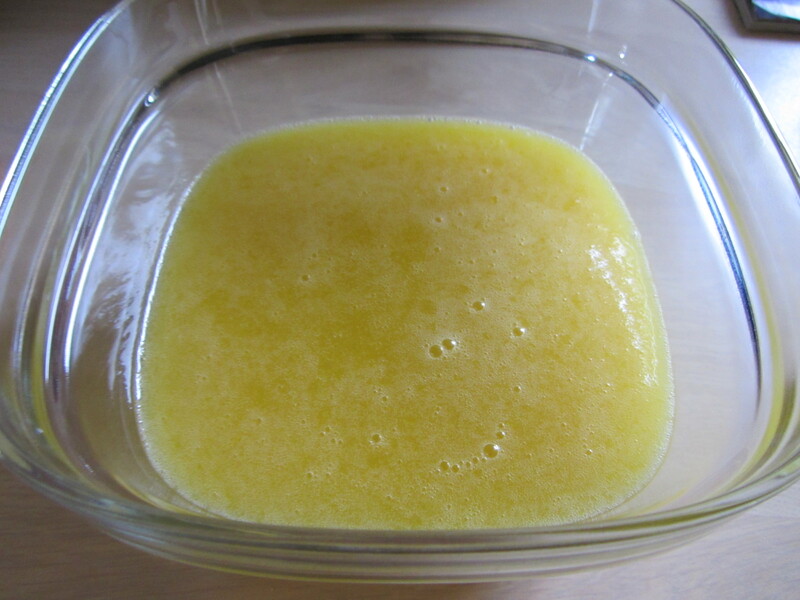 The final recipe in the third episode of Good Eats is for lemon curd. I had never before made lemon curd, so I was excited to make this one. Plus, just recently I had a delicious dessert at a restaurant that consisted of lemon curd, raspberries, and crumbled meringue. As far as desserts go, lemon curd is a quick and easy thing to make, using only a few ingredients. Be prepared, though, to whisk for several minutes. While the online recipe calls for the juice of four lemons, I only needed to juice two lemons to get the desired 1/3 cup of juice. 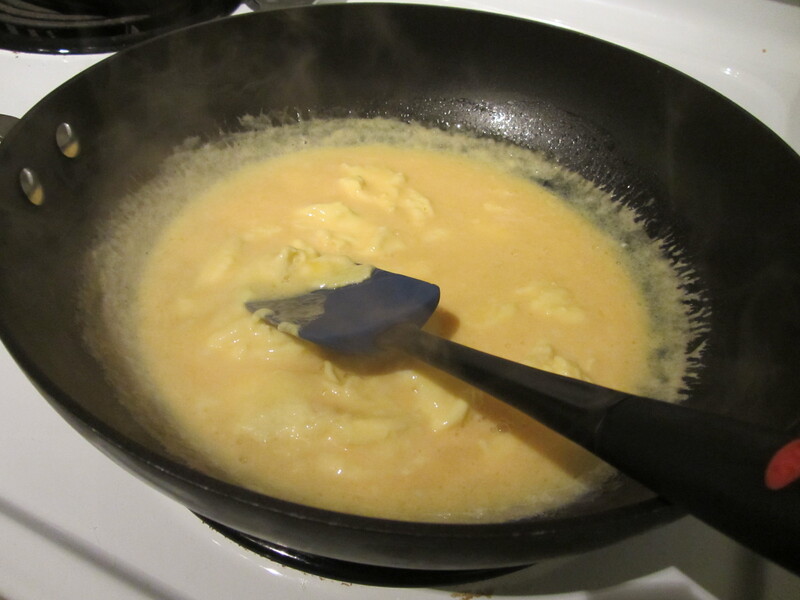 I used my double boiler to make my curd, whisking over low heat. The online recipe says it takes about eight minutes for the curd to be thick enough to remove from the heat. 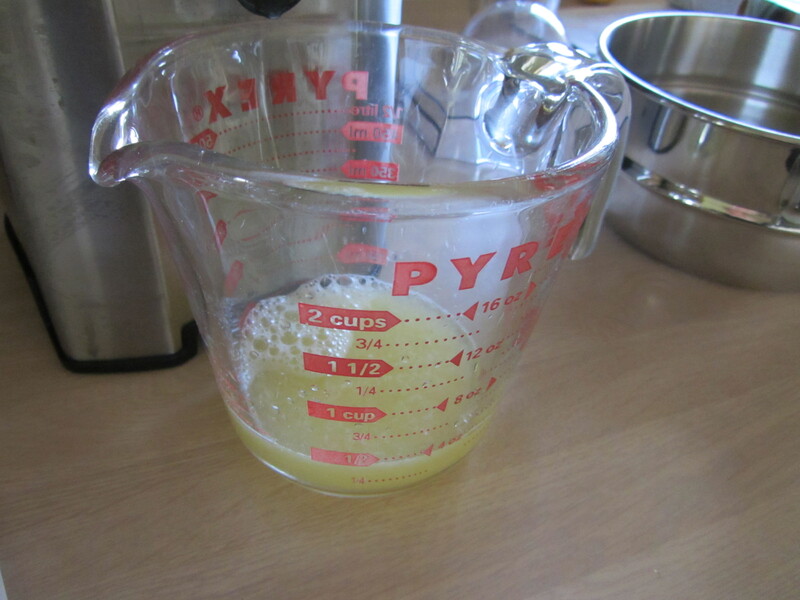 I, however, found that I had to cook my curd for several additional minutes, and truthfully, I probably should have cooked it even a little bit longer to get a bit thicker consistency. 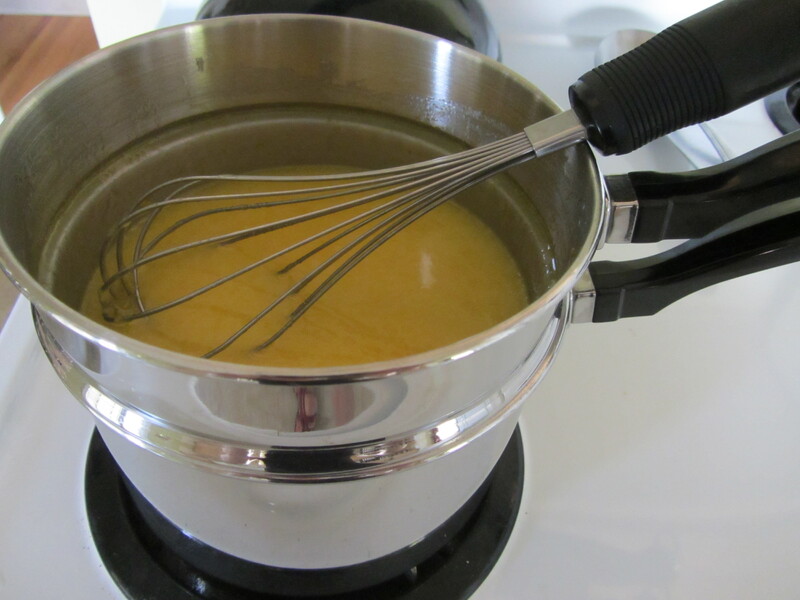 Lemon curd in double boiler. 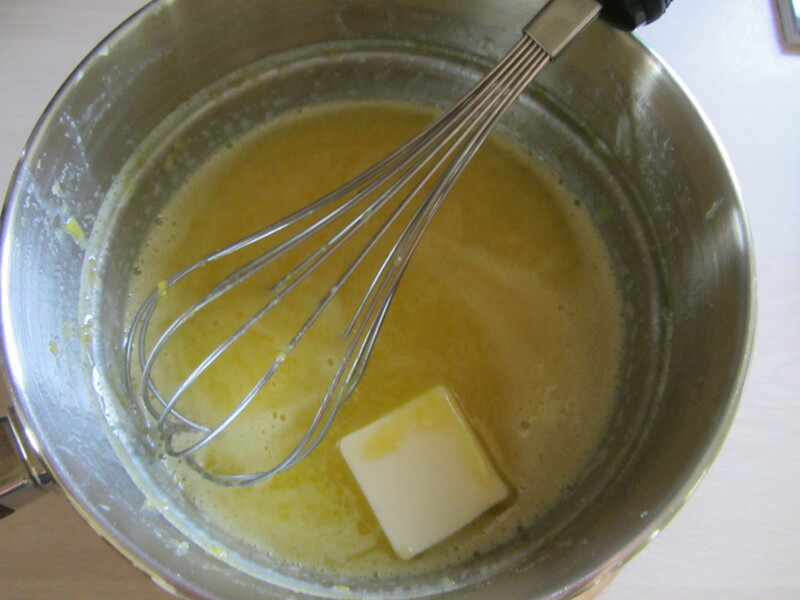 Whisking in the butter, pat by pat. Though it was a little bit thinner than I would have liked, the flavor of the curd was excellent. 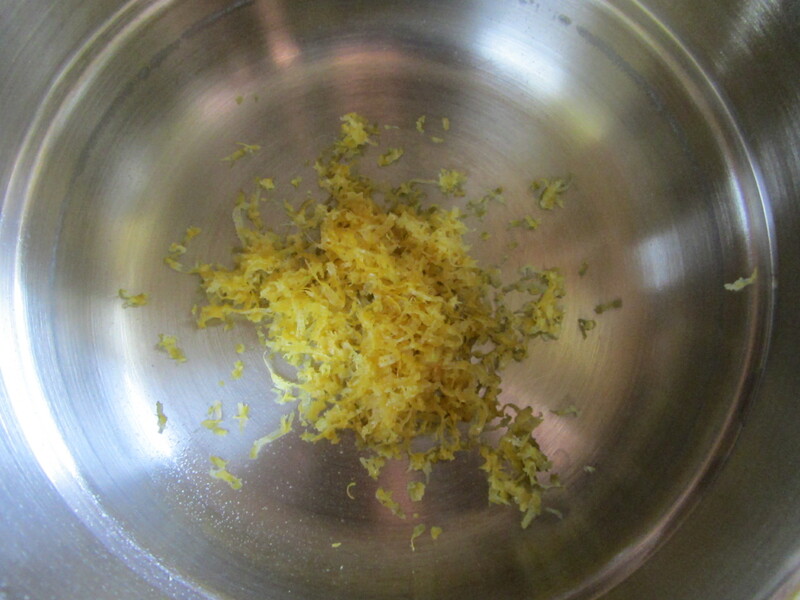 It was a vibrant shade of yellow, and had a great balance of sweetness and lemon tang. I described it as “bright,” and it was a perfect summer dessert. We ate it over pound cake (store bought, unfortunately) with good vanilla ice cream, and I had some the following morning over raspberries. 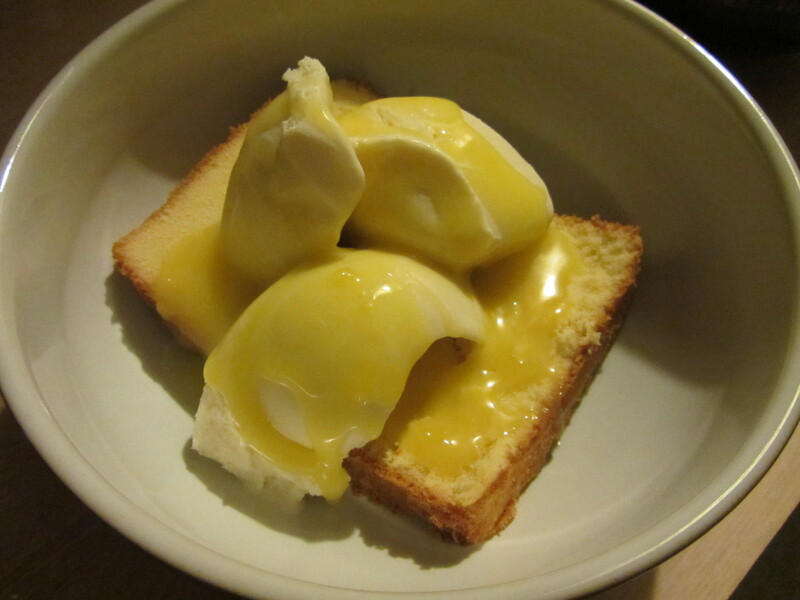 Pound cake with vanilla ice cream and lemon curd. With some pound cake, ice cream, berries, and lemon curd still in our refrigerator, it might be time to get some dessert!